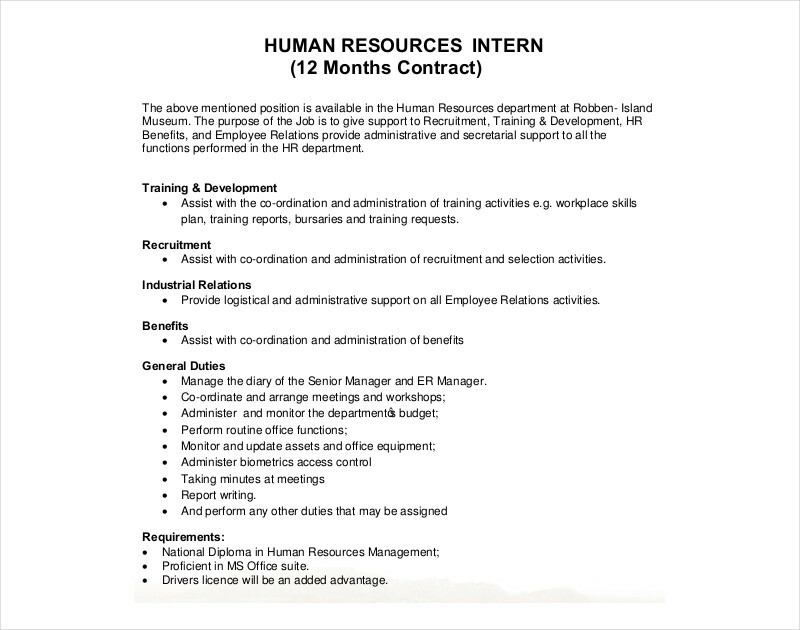 An HR contract is a general term for contracts that are used by the human resource department of businesses from different industries. 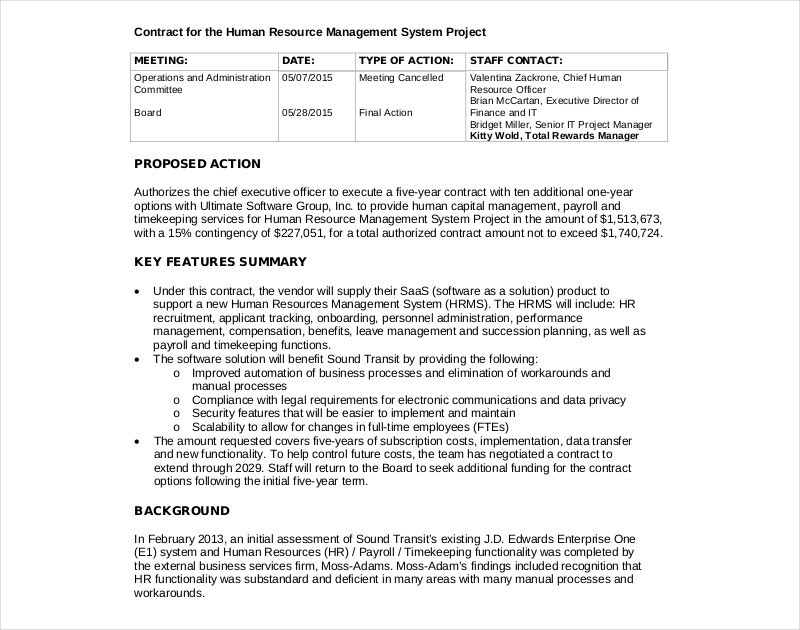 However, one of the most common usages of an HR contract is to present the items that a business and a human resources contractor have agreed upon. 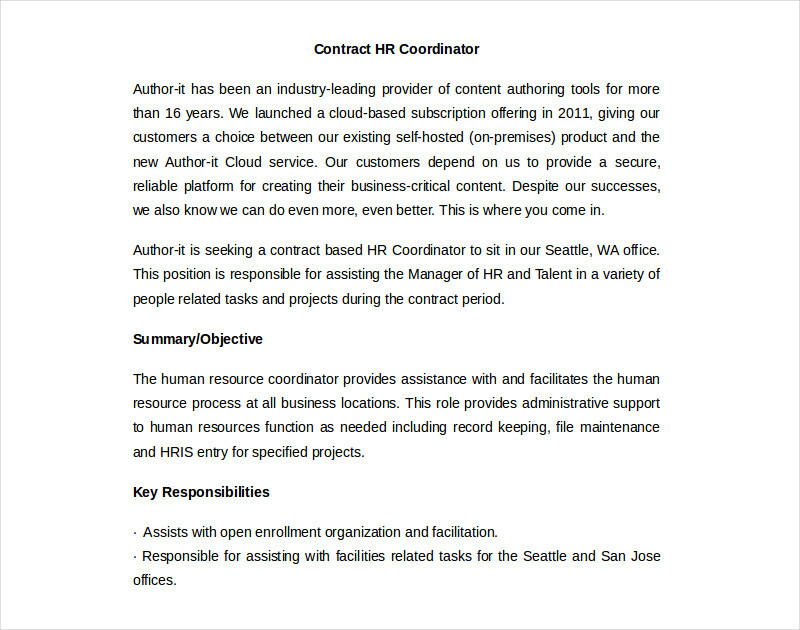 Since most HR contracts are used whenever a company needs HR support, there are also hiring contract and company contract examples that an HR personnel contractor or service provider can have access with. 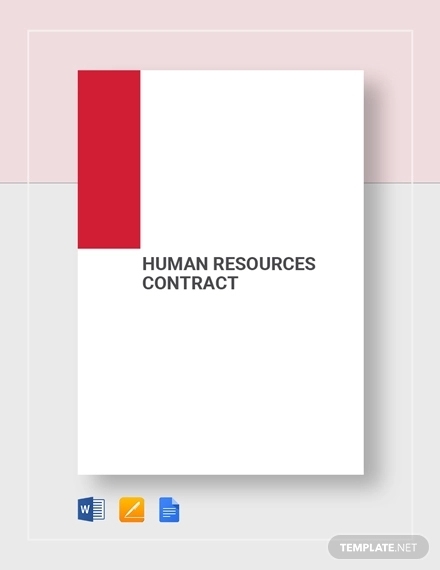 Hence, it is essential for an HR contract to specifically set the limitations, terms, conditions and boundaries of the transaction where the document will be used. Have precise and accurate contract definitions and term interpretation so that no misleading details can cause disputes and misunderstandings in the future. 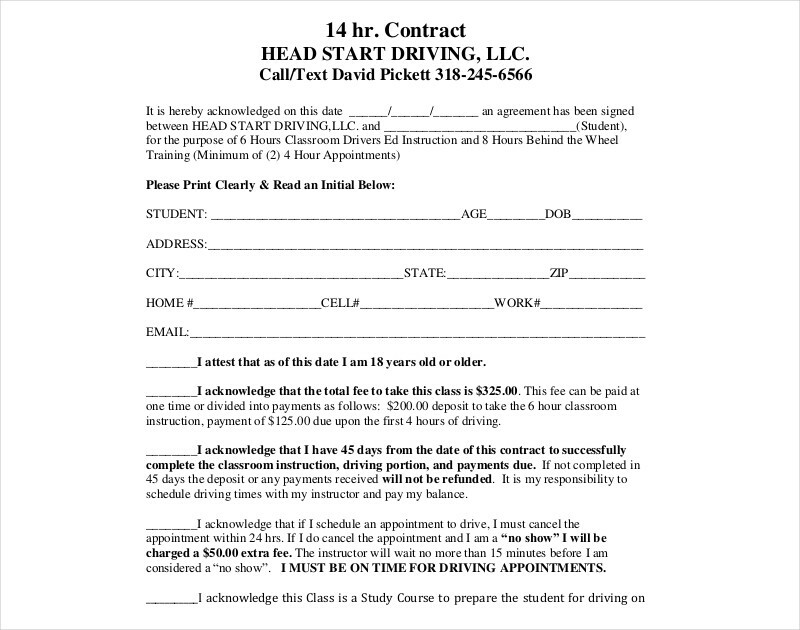 You may also see hiring contract examples. 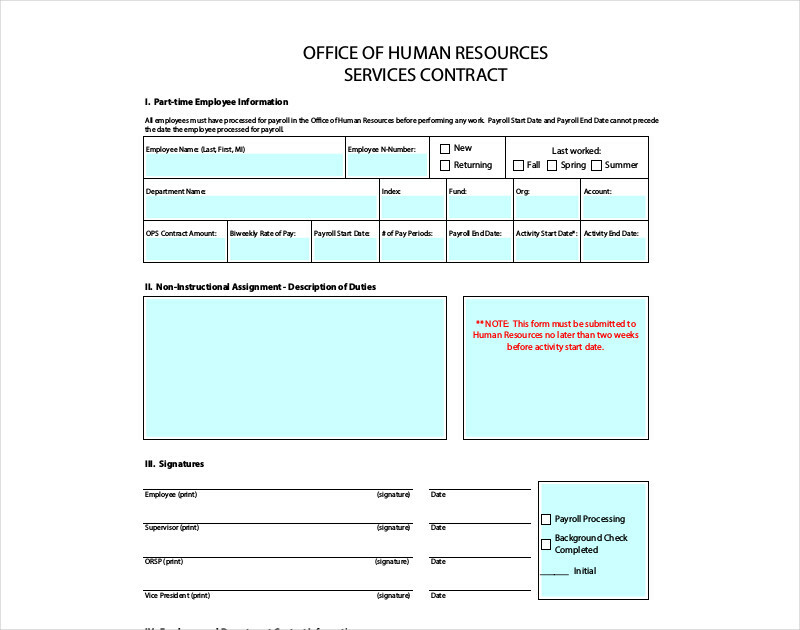 Ensure that all the information that the human resource service provider and the business need to provide are properly stated in the HR contract. Just like when making a student contract, specifically identify the purpose of the contract so that all parties can have an idea of the entirety of the transaction scope. 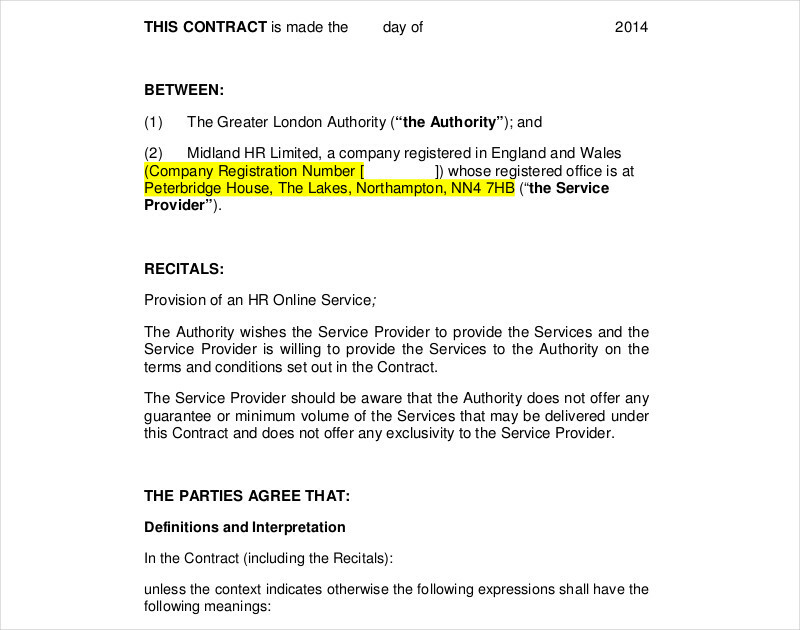 Use a contract format that can perfectly present the clauses or groupings of the HR contract content. Why Do You Need an HR Contract? If you will use an HR contract, you can make sure that the rights of the business especially when it comes to privacy and confidentiality will be protected even if you will transact with an HR support or service provider. Having an HR contract can specifically discuss the expectations of the business when it comes to the call to actions that HR support providers are responsible to execute. 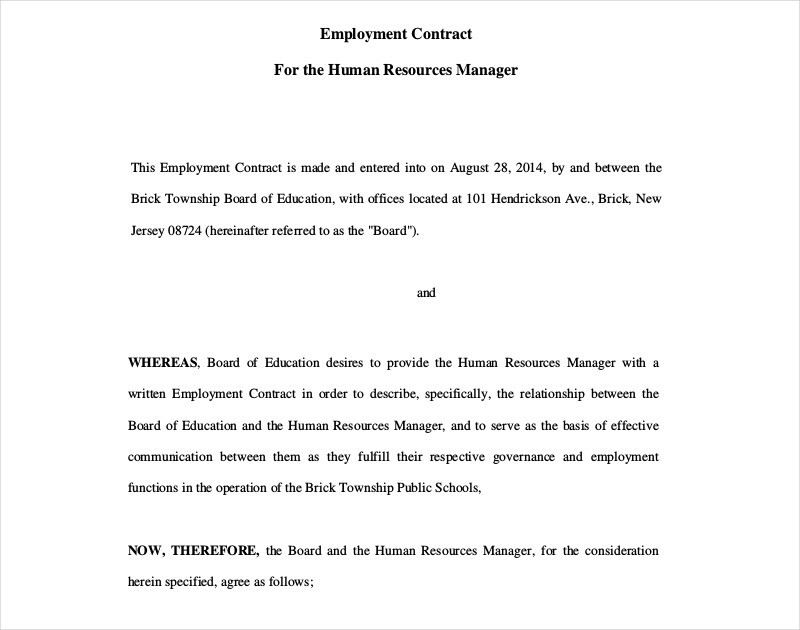 Making an HR contract can make it easier for all parties to trust one another as there is already a proof or an evidence of the items that they have agreed upon. Do not be afraid to create an HR contract on your own. However, we still suggest you to seek for professional advice to make sure that you will not overlook important details and information. More so, feel free to use references like the downloadable contract examples available in this post.